When remodeling your bathroom is not preferable, learning to work within the limitations of your current space can be a great alternative. DécorPlanet is happy to provide these three tips that can help produce a refreshingly new look without requiring much time or money. Tip #1 – Choose the Right Finish for Fixtures. Bathrooms with every little natural light do well with fixtures that have reflective surfaces. However, high reflection may be too much for spaces that receive ample sunlight. Choose faucets and decorations that work with the light available in your space. Changing light fixtures can also help produce more light without requiring an entire remodel. Tip #2 – Think Escape. Adding things such as vases with flowers can produce a spa-like environment and help provide both sophistication and relaxation. So too can placing soft and attractive towels in visible areas such as on chairs or open shelves. Adding aromatherapy candles, incense, or other delicately scented items can also help produce an inviting escape. Tip #3 – Accessorize intentionally. From soap dispensers to hand towels, little changes often make the most profound differences. 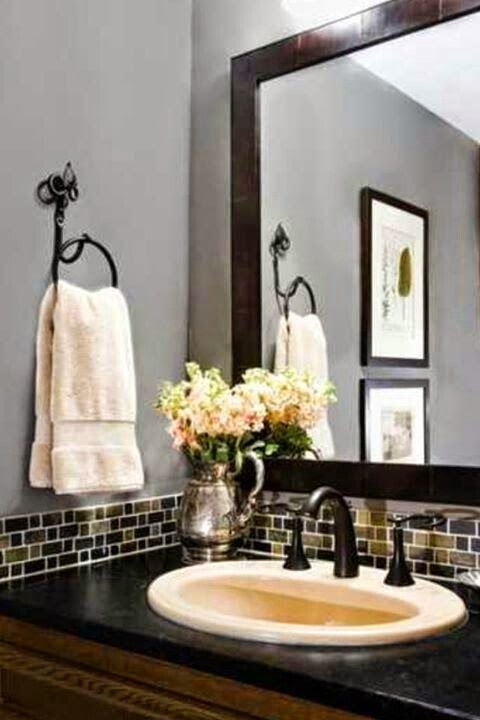 Choose accessories that match the color and theme of your bathroom and consider changing out towel racks or adding shelving. Intentionally choosing accessories that match can produce big results while requiring very little change. Your bathroom should enhance the look and feel of your home. Planning minor upgrades and making simple additions is often all it takes to create a space that is comfortable, comforting, and uniquely yours. And with the wide selection of bathroom fixtures and accessories at DécorPlanet.com, we make it easy to renew your space without breaking the bank.